Dentists have long been known to have giving hearts and hands. The dentists in our community are no exception. Many local dentists routinely treat the indigent, the unfortunate, and those in need of care. Dentists treat these patients at no charge, out of a feeling of “giving back” and the knowledge that their skills and compassion are a great gift they can bestow. Dr. Karen Glerum, member of Atlantic Coast Dental Association and South Palm Beach County Dental Association, recently treated one such pro-bono patient. Dr. Glerum was contacted by the American Association of Cosmetic Dentistry (AACD). The AACD has a program called “Give Back a Smile” (GBAS) which treats survivors of domestic violence at no charge. As a result of this beating with the crow-bar (one of many, but the last one she endured and the worst), Lisa lost almost all of her posterior teeth. She was left with only anterior teeth on which to chew for many years. Due to this abnormal function, her anterior teeth splayed and fractured. At the time Dr. Glerum saw Lisa for her exam, her occlusion and remaining teeth were extremely compromised. It was decided that full reconstruction would be performed as the best, long-term treatment. Dr. Glerum’s treatment plan consisted of implants to replace the missing posterior teeth, and crowns to properly restore the remaining anterior teeth. Dr. Glerum knew she could not accomplish this restoration for Lisa without the help of a wonderful team. She contacted Dr. Russell Gornstein for his assistance with the implant placement. Dr. Gornstein readily agreed to help. Drs. Glerum and Gornstein also elicited the help of Nobel-Biocare Implant Corporation, and they generously donated all the implants, supplies and restorative parts for this patient. Dr. Glerum’s laboratory, Hennessy Lab of West Palm Beach, also generously donated their time, talents and supplies. Mr. Mike Hennessy was instrumental in making everything on-time and with precise fit and function. Throughout the entire process, Lisa was and is an inspiration. She traveled from her home near Lakeland, Florida, over two hours to see Drs. Glerum and Gornstein. Lisa’s positive attitude was felt by all the doctors and team members. 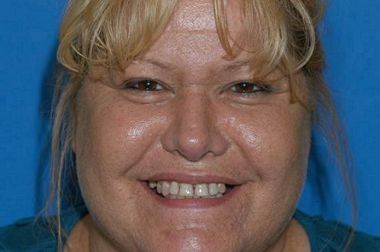 Lisa was extremely grateful to have received the dentistry, and her smile shows it. She has dedicated her life to helping others who are victims overcome their circumstances and rise above them. She founded Alpha and Omega Freedom Ministries to help others that have experienced the violence that marked her previous life. 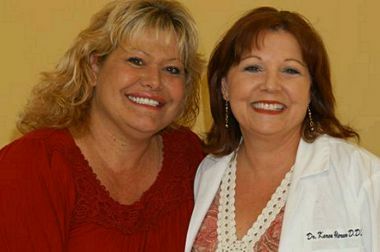 Dr. Glerum continues to see Lisa as a regular maintenance patient in her Boynton Beach office. In addition to Lisa, Dr. Glerum has restored several other patients through the Donated Dental Services program. These grateful patients continue in the practice and are seen regularly. We know that dentists provide such valuable care continuously in our area. Many times these efforts go unseen, unsung and unnoticed. We invite all our local colleagues to tell their stories. Let us and our communities know how we are giving of our skills, care, time and knowledge.